Managed and leased the 8407 Wall Street building from 2000 to 2003. 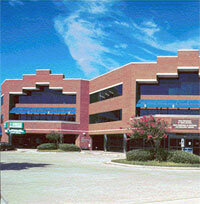 The building is located in the northeast submarket of Austin. It is occupied by one major GSA tenant and is approximately 125,000 s.f. Several interior and exterior improvements and energy maintenance systems installations were completed. After renewing GSA tenant at aggressive rental rates, flipped the property for sale in 2003.